Immunoglobulin-4 (IgG4-) related disease is a newly described treatable condition that has recently expanded the differential diagnosis of inflammatory meningeal disorders. 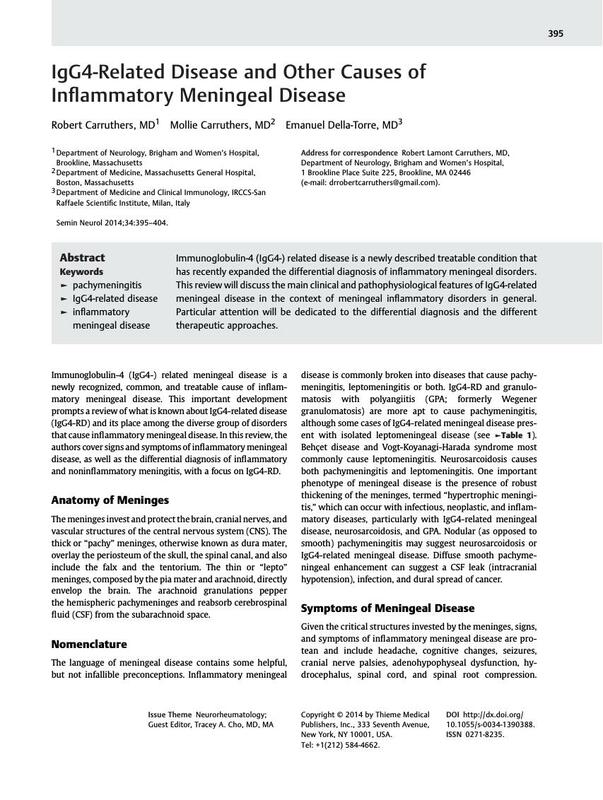 This review will discuss the main clinical and pathophysiological features of IgG4-related meningeal disease in the context of meningeal inflammatory disorders in general. Particular attention will be dedicated to the differential diagnosis and the different therapeutic approaches.